With up to 40,000 elephants killed every year, this piece celebrates the beauty of these gentle giants and what they mean to Africa. 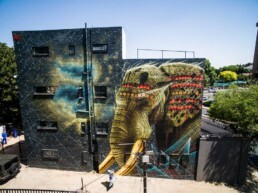 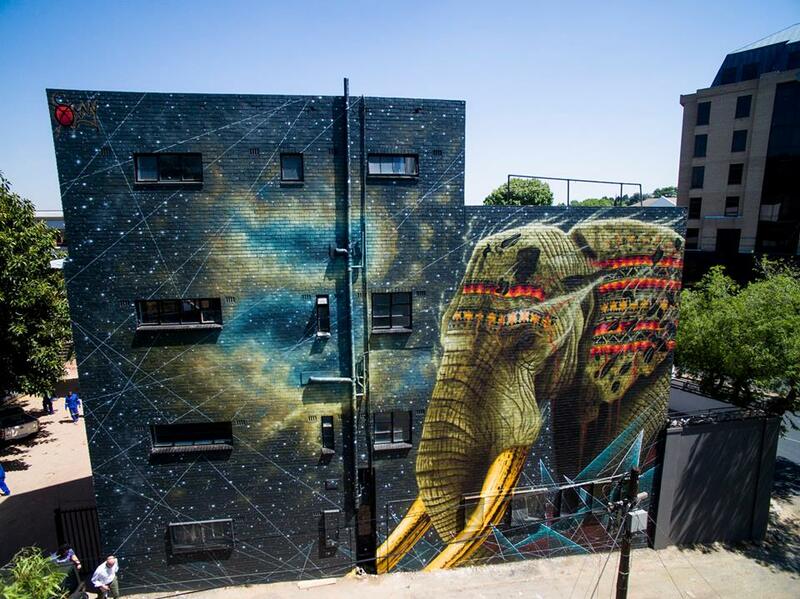 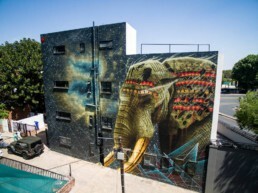 This mural titled ‘Jelani’ (meaning ‘mighty’ in Swahili) is the first in a series of murals that focus on raising awareness of the critical state of our endangered wildlife. 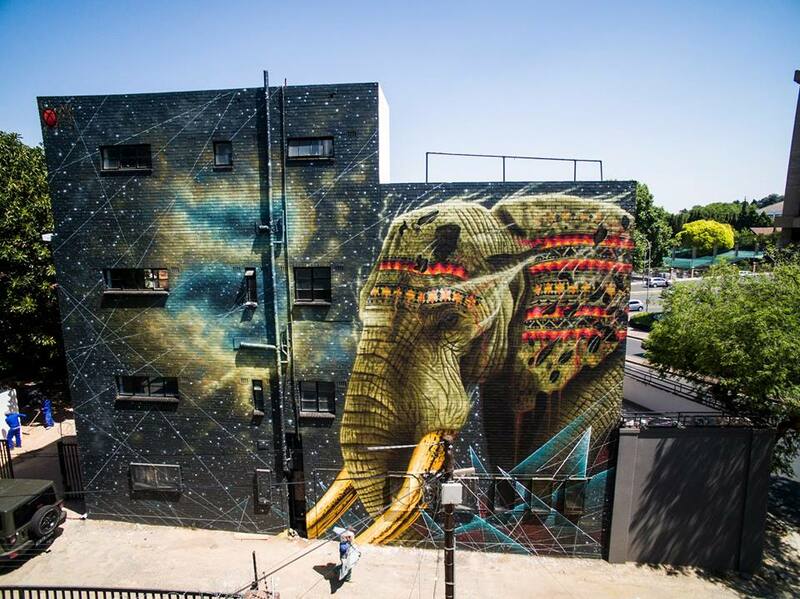 The murals mirror his new body of canvas works – watch out for the exhibitions coming in 2017.